JERUSALEM—Israel’s main public-sector labor union went on a half-day strike on Sunday, closing the airport, the stock exchange, banks and all government ministries as part of a protest against mass layoffs planned by Teva Pharmaceutical Industries. 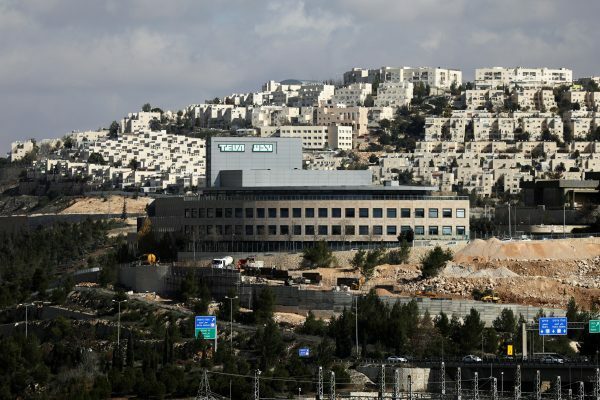 The debt-ridden Teva, one of Israel’s largest companies and the world’s largest generics drugmaker, last week said it would cut its global workforce by more than a quarter, or 14,000 jobs. 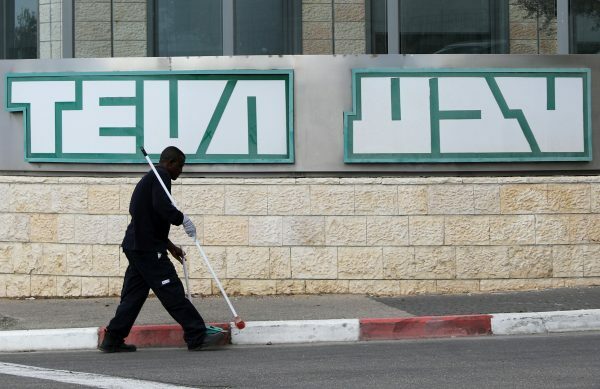 Some 1,700 jobs will be cut and a manufacturing site will be closed in Israel, prompting anger from unions and politicians, who believe Teva’s employees should not pay for the company’s failed investments abroad. Sunday is the beginning of the Israeli work week. Hundreds of thousands of workers went on strike until 12:00 pm (1000 GMT) and many held solidarity rallies outside Teva facilities. The Tel Aviv Stock Exchange said the trading day would be shortened, opening at 1 pm and closing as usual at about 4:30 pm. All departing flights—mainly from Europe—at Tel Aviv’s Ben Gurion Airport between 8 am and at least 12 pm were either canceled or delayed. Similarly, no flights will be allowed to land until after 12 pm. 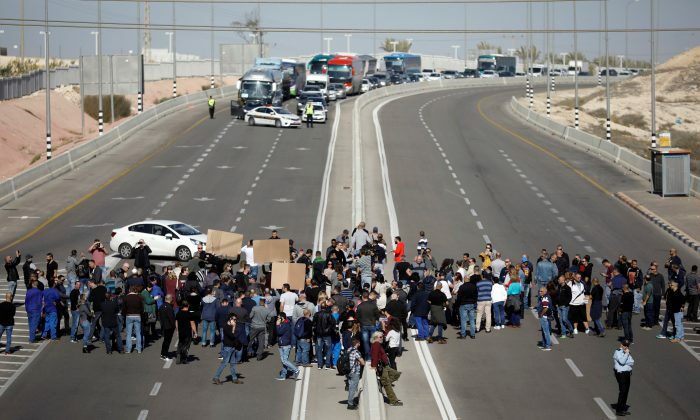 Trains and buses were initially supposed to strike as well, but the Histadrut labor federation decided to allow public transit to operate so that soldiers could get back to their bases, as they typically do on Sunday mornings. “We are fighting on behalf of Teva’s workers to save Israel’s industry … and to convey the message that layoffs are the last and not the first step in the public and private sectors,” said Histadrut chief Avi Nissenkorn. Its two-year restructuring plan is intended to reduce Teva’s cost base by $3 billion by the end of 2019, out of an estimated cost base for 2017 of $16.1 billion. Prime Minister Benjamin Netanyahu called Schultz last week, asking that he keep layoffs in Israel to a minimum. Schultz said Teva would maintain its headquarters in Israel. Dear reader, we work hard to bring you important stories from around the world, but we can’t do it without people reading them. Think your friends may not know about this? Share it to keep them up to date. It takes less than a minute. Thank you!